With the onset of fall, many bugs and pests try to get indoors where the temperatures are warmer. Once they come into the units, they tend to hide and create a lot of nuisance for residents. All across the country, the nuisance of stinkbugs is becoming a major problem. According to studies, BMSB (Brown Marmorated Stink Bug) came for Asia and it has been a major menace across 41 states. These bugs have increased alarming in number because they reproduce fast, and there is no predator in the country that feeds on this bug. Stinkbugs as the name suggests give off an unpleasant odor and create a nuisance by buzzing around renters and everyone else. Apart from creating nuisance for people, they are known to cause major damage to fruit crops. Most properties are finding it very difficult to keep this bug out, especially during the colder months. The scientists at US Department of Agriculture are testing the genome of this bug, and trying to develop traps and use of certain wasps to reduce their numbers. In urban settings and on properties, it becomes even more difficult to destroy these bugs due to the restricted use of pesticides and other harmful chemicals. Here are some tips that property management could implement to reduce this nuisance. § Moisture has to be eliminated as much as possible, which means keeping the bathrooms and kitchens dry, and repairing clogged drains and leaking pipes. 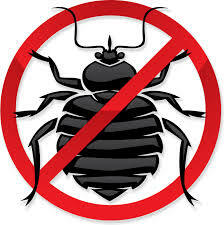 § Prevent the entry of stinkbugs and other pests by sealing all crevices and cracks using steel wool and caulk. Additionally, install screens on chimney openings and for vents in the attic. § Check for loose mortar and poor weather stripping and replace the same, especially around windows and basement foundation. § To prevent brining these bugs inside the unit, educate tenants to inspect grocery bags, boxes, and luggage before they bring them inside their homes. § Make sure garbage is stored in sealed receptacles on the property, and encourage tenants to wash off used plates and pans regularly and avoid a pile up. Stinkbugs like indoor areas that remain undisturbed and their prime spots for nesting are under boxes and furniture. Therefore, make sure to prevent clutter from taking root inside and outside of units. Rooms that remain locked up should be aired and cleaned at least once a week. Property management staff can carry out inspections before and during fall season to look for crevices, cracks, and the condition of windows and doors. Additionally, check for holes in screens and have them replaced. All these tips will help in keeping other pests like rats, spiders, and cockroaches out as well. Pests not only create health hazards but also cause extensive damage to structures. All the above preventive measures will reduce the chances of infestation; however, keep a lookout for increase in pests on the property. If there is any sign of possible infestation, immediately call a professional pest control service. Renovating the property has many advantages. A property having a new look or one that offers better features is always attractive for potential tenants, and there is bound to be lesser vacancy rates as a direct correlation. Renovations could be a sure way to improve the reputation of the property and attract more tenants; however deciding upon what renovations to undertake is often a daunting task. And it normally involves some type of executive understanding, maintenance schedule, or management protocol. You have to consider carefully the renovation costs and the expected ROI. 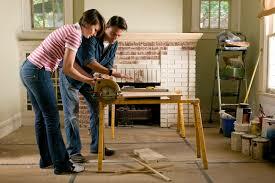 Choosing the right remodeling project will not only preserve the property's equity but also its integrity. One of the best ways for property management to find out the right renovations is to consider the rental property to be a home rather than just a unit. It also does not have to be a major project, since well thought of scaled down remodeling and renovation projects can provide outstanding and tangible returns. Hence, even minor improvements can make an exceptional difference. 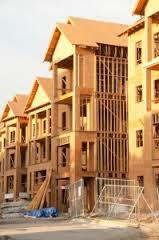 Nevertheless, certain major projects are unavoidable when it comes to structural integrity roofing of the building. A leak in the roof could result in a major loss, when units become inhabitable and tenants start moving out. A top priority should be given to preserving the integrity of the dwelling, while everything else can be evaluated as per its cost and potential ROI. The condition of the flooring and carpets has a major influence on the looks of the unit. If the carpets are in fantastic condition then it is not necessary to replace them; however, it is integral to have them shampooed and cleaned. If you are planning to replace carpets, then consider remodeling the apartment with tile of wooden flooring. The project will be relatively expensive but compared to the average life of a 10 year old carpet, the tiled or wooden flooring could last a lifetime. Secondly, if the unit already has tiles, then minor flaws such imperfections, scratches, and chips can be fixed with spot replacements. A fresh coat of paint to the walls makes the unit appear new, and a painting job is required before a new tenant moves in, especially when the previous tenant was occupying the unit for a long time or had been a smoker. Painting can be an inexpensive renovation compared to trying to hiding the smell and the decayed look that cigarette smoke over time can bring to a home. The paint job could be limited to certain walls that show wear, decay, or will probably not inspire potential residents. Renovations to bathrooms and kitchens need investment as well and this should impress any potential renter that the property management shows this work too. If you are on a smaller budget, then consider the option of resurfacing instead of implementing total replacements. Resurfacing cabinetry, showers, and bathtubs can also work compared to a complete overhaul. Usually baths with acrylic coating have a lifespan of about 15 years. Hence, you could use this as a guideline to estimate whether the bathroom and kitchen will need to be gutted and completely redone or if a resurfacing job will suffice. With the year ending on a relatively positive note, many property managers might be worried about what the coming year is going to hold. Here are certain important predictions by the top experts regarding rental properties. While demand for rental units is expected to increase next year, the main demand will be for apartments. This is because many Gen Y members are not eager to start families and therefore are not going to need starter homes. According US Census Bureau the normal level of new households is around 1.1 million, but only 746,000 new households were formed last year. This indicates that it now takes much longer for Americans to complete various rites of passage such as marriage, starting a family, buying a house, and so on. Secondly, the new generation has seen the despair and bankruptcy people had to endure because of the housing collapse, and they do not want to rush into owning a home. Additionally, it is much tougher now to acquire a mortgage, since the qualifying process is more stringent because for many years banks were forced by the federal government to authorize loan giving to people that should not have been qualified to live in that home. Most of the young crowd has a huge debt to income ratio, since they will be repaying student loans with income from part-time or temporary jobs. Hence, hardly anyone seems to be eager to become a homeowner, and therefore there will be increased demand for rental properties. Most of the millennial crowd is not seeking to make it big in the top cities. Rather they prefer working and living in areas that have lower cost of living. Secondly, telecommuting has increased dramatically in the past couple of years, which makes it easier for young professionals to visit offices in metros occasionally, since they can deliver their work digitally most of the time. Therefore, all these reasons will contribute towards more demand for rental properties in smaller cities rather than big city metros. Renters are choosing to bike or walk rather than drive a car over long distances. This means renters are looking for neighborhoods that will satisfy most of their needs within walking distances. This trend had started last year and is likely to continue in the next year as well, but falling fuel prices might mute the full effect. In the past, most people who raised children would stay on in their paid for homes, after their children had left. However, recently this trend has changed, and empty nesters are preferring rentals rather than living in the same home they have been living in for so many years. Secondly, these people are in the age group of 50 to 65 and not very old. These couples are also much more active and healthier, and they like to live in happening & vibrant communities rather than dull suburbia. Many such people are moving to places where there is more scope for recreation and meeting other people. This trend has mainly developed due to changing lifestyle choices. However, many people have been affected by foreclosures and divorce, as well. Whatever, may be the reason, elder people will also be driving up the demand for rental units. 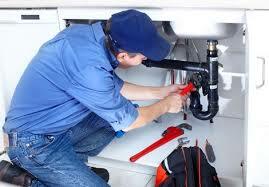 The major part of property management involves regular inspections of the property, and repairs and maintenance tasks. If the property were very small, then hiring a contractor would be a marvelous idea to attend to the repairs and maintenance when they crop up. However, for bigger properties it would be cost effective to have in-house staff. Once you have hired trustworthy and efficient maintenance staff, it will not only make the job much easier, but you will also save lot of money, which will improve returns. However, hiring such a staff at a reasonable rate could be a daunting task and here are some tips that can be helpful. Firstly, before hiring anybody, you need to be clear about what you would like the staff to do. You must jot down all the responsibilities that the proposed maintenance staff is to take up. You might feel most maintenance tasks are of general nature, but it is important to match your requirements with the qualifications of the staff, you are planning to employ. For instance, if the property has a particular boiler system, then you would want someone who has knowledge and experience in handling issues with such systems. When you are specific about responsibilities, you can find the best staff suited for the maintenance requirements of your property. After you have clearly listed the responsibilities that you would want your maintenance staff to take up, then it becomes easy to prepare an ad to attain or receive responses from suitable candidates. If your requirements are vague, then you will have to sift through many candidates, which will be a big waste of time. The advertisement should clearly list responsibilities, and the possible challenges the staff will have to face in the job. Additionally, do not ignore your specific requirements, even when the candidate has been referred to you by someone you know. Before you start interviewing candidates, it would be a sound idea to make a list of questions that are important to you. Avoid time wastage by asking practical and specific questions, which will reveal the suitability of the candidate for the jobs you have in mind. The first few questions should reveal whether the candidate meets your general requirements. If the candidate is promising, then you could ask another set of questions that are more specific and elaborate. You could create certain scenarios that you feel are most likely to occur on your property, and ask the candidate, how best he would handle the situation. This will test the candidate's knowledge and his decision-making skills. Apart from specific skills and experience, it is important to know the character of the person you would be employing. Candidates with drug problems or prison records should obviously be avoided. If the person has worked in a similar capacity before, ask for the reference and the reason why he has left the previous job. Additionally, make sure the candidate is responsible, and can manage the work independently & professionally. When the property is located near college or universities, property management should focus their marketing efforts in attracting the millennial crowd. Each year there are many young renters, leaving their campus environment and looking for a home. Your property could be ideally suited for the Gen Y crowd, but marketing with the right content and tone is essential to capitalize on this demographic. For this, it is essential to know the trends prevalent amongst millennials and their preferences. Here are some tips that will work best. Majority of millennial crowd hate ads, and prefer interacting. Therefore, social media should be the main channel for informing and involving Millennials. Facebook and Twitter being the two main platforms used by adults, marketing efforts should mainly focus on these two. 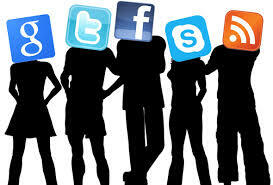 Secondly, different social media websites appeal to different demographics. For instance, LinkedIn is most used by graduates and people with higher degrees, whereas, Pinterest is preferred mostly by women. Instagram is also slowly catching up and it is used mostly by adults and young people in urban areas. These various platforms can be used to show millennials how they can benefit from the community or how it could provide a specific solution. While interacting on social platforms, focus on key aspects that drive millennials such as sharing, diversity, discovery, passion, and happiness. Being skeptical of ads, property management needs to connect with the millennial crowd through authentic and creative engagement. Here are some tips for effectively engaging their attention. Offer products that can be customized to their preferences and economics. For instance, offer a base package that covers only basic living amenities, and provide additional packages such as high-speed Internet, cable connection for entertainment, gym membership, and so on. When you offer customization, you can attract a much wider section of the millennial crowd. Everyone likes something that is offered free as an incentive. Collaborate with businesses in the immediate area. Ask them for gift cards and discount coupons, which can be distributed amongst new tenants. This way, businesses find a way to advertise their products, and property management can provide freebies without incurring any costs. Almost all millenials trust reviews, which have some percentage of negative comments. In fact, when they do not see any negative feedback they feel the review might be fake or censored. Therefore, some degree of negative comments are not that terrible; however, property management should make sure to respond to these comments, and offer their side of the story. Nevertheless, it would not be wise to get into a war of words with people who delight in posting such comments. They do not have to be professional, whereas you do. Millennials love to do everything online, so make sure you provide online portal for doing everything from paying rent to submitting maintenance requests. Other technological amenities that attract millennials would be Apple TVs, docking stations in common halls, electronic keys, and high speed broadband connection with Wi-Fi. Smart storage solutions inside the unit are also very attractive for millennials. A late rent payment is a major issue faced by property management, since it restricts cash flow and the profit margin can come down. However, late rent payments could be inevitable due to the economy and the sudden changes in the financial situation of tenants. Sometimes payments are late simply because the tenant forgot to send the check or put the check in the slot on time. Hence, some amount of flexibility is required to maintain cordial relations with tenants; however, providing flexibility should not be construed as acceptable behavior. 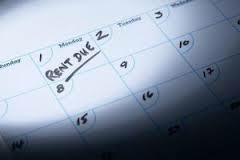 Here are some tips that can help reduce occurrences of late rent payments. According to studies, people who have a history of skipping rent are most likely to repeat this behavior. Therefore, the first step would be to avoid renting properties to such people, by having an effective screening procedure. History of rental payment of prospective tenant can be accessed from Experian Rent Bureau. The history will have information about how well the person has paid rent in the past and whether there are any negative remarks. Hence, property management should take tenant screening seriously, and form policies for an effective screening procedure. Late rental payments can be avoided largely by having some punitive action clause in the lease agreement for defaulters. Initial defaulters could be given a warning, but tenants who regularly skip rent should be penalized with late payment fees. Property management can keep track of such tenants, and keep sending them reminders before the due date. However, the property manager should maintain a personal connection with the tenant and find out why the tenant is paying the rent late. Sometimes it can be a legitimate reason such as health problem or sudden unemployment, and so on. In such cases, property management should judiciously decide whether to be lenient or not. This is always a tricky issue because other tenants will start expecting the same treatment even when they are facing some sort of financial difficulty, which may not be as severe as unemployment or bad health. In case of legitimate reasons, the property’s management can chart out a payment schedule with extended due dates, which is more favorable to the tenant. However, a firm stance should be taken against repeat defaulters, and tenants who are not able to keep up with the revised payment schedule. Leniency towards certain tenant who has legitimate reasons for paying the rent late could be warranted. However, when the problem persists and the tenant is not paying the rent due to habit or circumstances, property manager cannot afford to lose income. Therefore, ultimately, evicting the tenant will be the only solution to the problem. However, before taking concrete steps to evict the tenant, property manager can serve a "pay or quit" notice, which will make the stand taken by property management quite clear. If the tenant does not respond even to this notice then the eviction process should be initiated immediately. There are laws governing the eviction of tenants, and property management should make sure not to break any law; otherwise, the eviction can prove very costly, and the defaulter might even win the case in the end. With the increase in building activity, tenants now have a much wider choice, but property owners and property managers have to face a higher level of competition. Increasing the popularity of the property and decreasing the vacancy rates will be the top priorities for property management, but accomplishing these tasks are quite challenging. Usually property managers are too caught up in their day-to-day duties, and they miss the bigger picture. Here are some points that can help in broadening your knowledge, which will ultimately help in improvement of the property. Property managers handling properties in new and unfamiliar areas should take some time off and scour the neighborhood outside the community. Focus on businesses and commercial places to get an idea about employment levels and the general state of the economy of the area. If there is a large company or offices in the neighborhood, check out if there are rumors of layoffs. If certain tenants are working in these places, then is the layoff going to affect them. Conversely, if there are new companies and offices coming up in the neighborhood, think of ways of collaborating with them for promoting the property. Trends in the real estate sector can change rapidly, and it is important for a property manager to keep track of such changes. Review the properties that are in direct competition to yours. Check out the units on such properties by being a mystery shopper. List the things that are better and the things that are not so spectacular compared to your property. This will provide ideas for marketing and ideas for improvements. Keeping track of financing trends and interest rates of mortgages is also helpful, as these things could affect your occupancy rates. To compete with newly built properties, it would be wise to update appliances, provide smart storage, and relax rules regarding pets. Investments may be high, but it will work out in the end, as you are likely to improve occupancy rates and popularity of the property. Secondly, consider upgrading technology on the property with better Wi-Fi, faster broadband connections, and improved cable services for entertainment. Common areas are one of the aspects that many property managers do not seem to give much importance to, which could be a big mistake. Both young and senior tenants like a place to hangout, and having a community hall with adequate facilities could make a major difference to the property. Secondly, keep common area spaces clean and well maintained, such as the patio, corridors, parking spaces, and unused areas behind the property. Clutter and garbage in these areas can give the property a very shabby appearance. The right software and online tools can be of marvelous assistance in streamlining office tasks and in providing more convenience to tenants. For instance, the ability to make online rental payments, registering maintenance, and repair complaints through the property website is very much appreciated by tenants. Simplicity is the key! 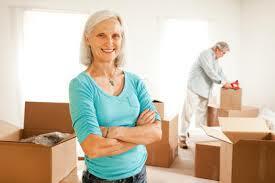 Tenant screening is one of the most important jobs of property management. Screening is done to discover what the prospective tenant is really like, and whether he will be able to pay the rent. Application forms cannot reveal much and they can be falsified; hence, an effective tenant screening procedure must be in place, which will not only confirm the details that the tenant has provided, but also analyze outside information that can provide a reasonable estimate of who the tenant really is. Here are certain guidelines for effective tenant screening. The first thing that needs to be checked is whether the tenant can afford to pay the rent of the unit. As a rule, tenants who are earning at least thrice the rent amount will be able to afford the unit, and are least likely to stop their rent payments. Most tenants feel they can afford the unit, even when they really cannot. Hence, it is up to property management to set rules about income thresholds. Usually, income that is thrice the monthly rent is considered sufficient. A tenant might be earning three times the rent right now, but property management also needs to check whether the tenant will be able to earn that much over the long term. For this, you need to check the type of job, past history of unemployment, and if the tenant is in the habit of switching jobs frequently. Even when tenants are able to afford the rent, some of them will not pay it on time. Property management will have to check the person's rental history to find out if he has been flagged for late payments. Also, check whether there were any complaints about the tenant being untidy, unruly, or was known to create disturbances. As a general rule do not accept people who have been evicted from a property in the past unless they have squared themselves away, perhaps agree to pay higher rent, and seem level headed when you are meeting with them. People who have a history of doing illegal activities, drugs, and criminal behavior are obviously not fit to be tenants, as they will only cause problems in the community, and eventually you will have to evict them, which is going to be expensive and time consuming. When a prospect contacts you, make sure the minimum requirements are made clear to the person on the phone. This will save a lot of time, since persons not meeting these criteria should not even see the application form. Why waste their time at all if they do not satisfy the basic threshold? 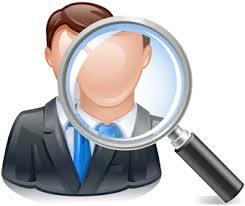 v Personal details such as the name, current address, phone number, social security number, date of birth, and so on. v Details about current employer, job history, and present income. v Details about past and current property owners where the person was a tenant.